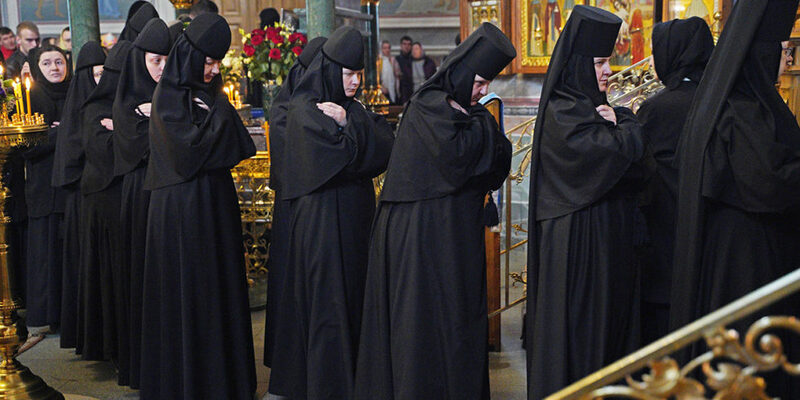 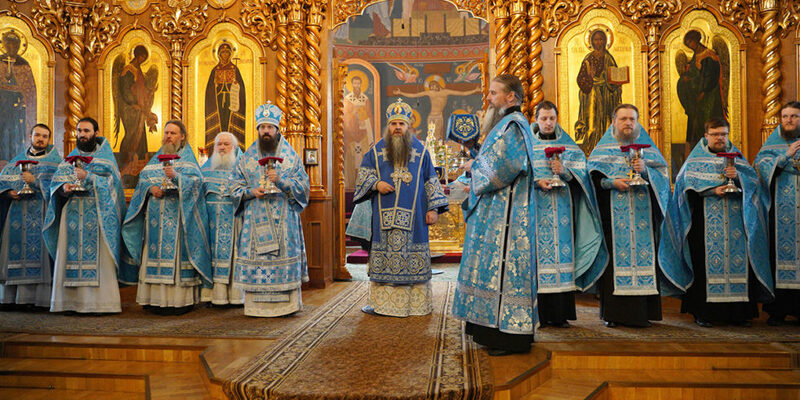 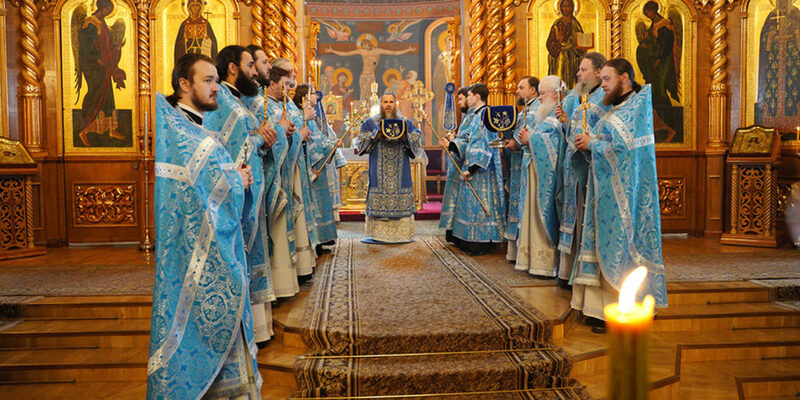 On April 13, the feast of the Laudation of the Most Holy Mother of God, Metropolitan Georgiy of Nizhny Novgorod and Arzamas celebrated the Divine Liturgy and served an akathist to Venerable Seraphim of Sarov. 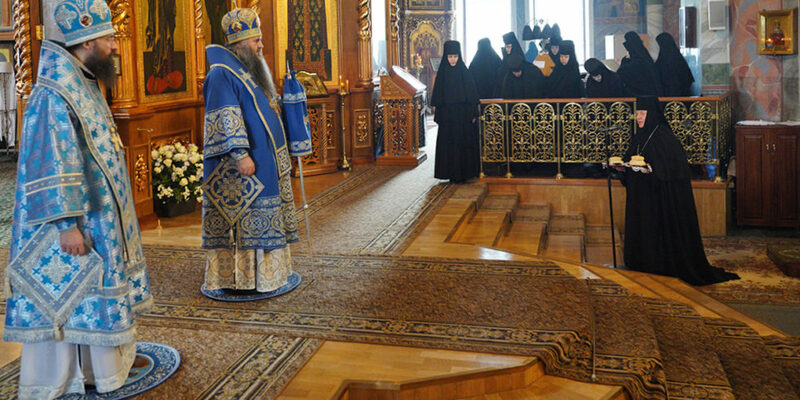 Bishop Agafangel of Norislk and Turukhan with the monastery’s clergy concelebrated at the service. 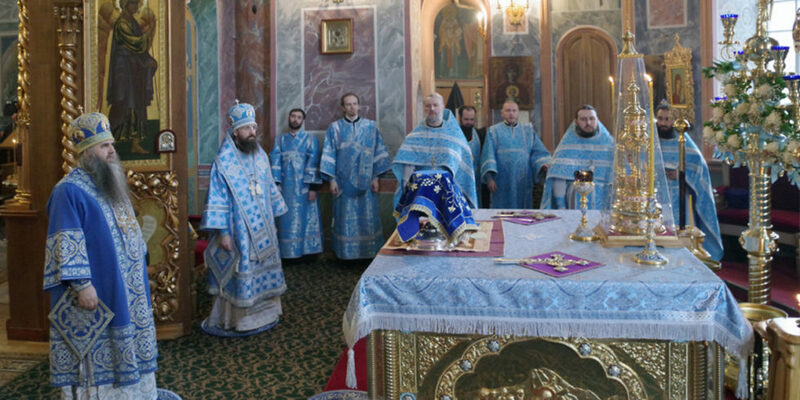 At the end of the service, Hegumenia Sergiya thanked the archpastors for presiding at the service and reminded that 29 years ago the newly reopened monastery served its first Liturgy on this feast. 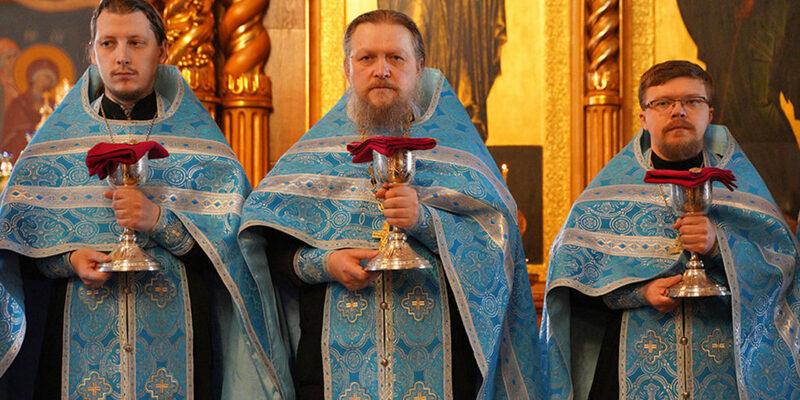 Metropolitan Georgiy remarked in his address that our country has long been considered a domain of the Mother of God for we owe our lives to Her protection and intercession. 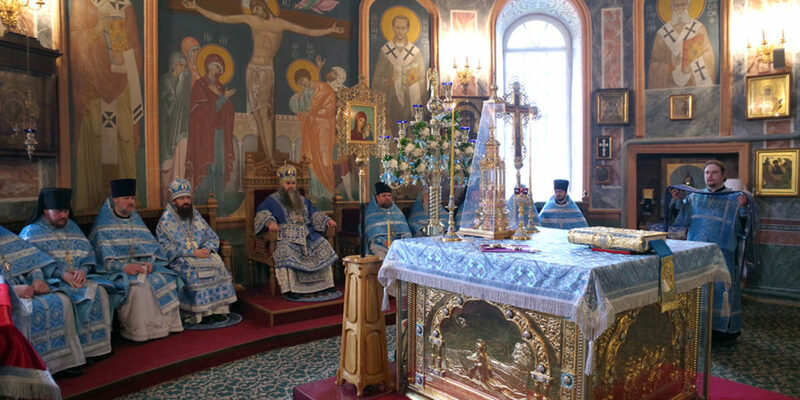 The Russian people reverently care for the Mother of God dedicating so many icons to the Most Pure One and erecting many churches in Her honor. 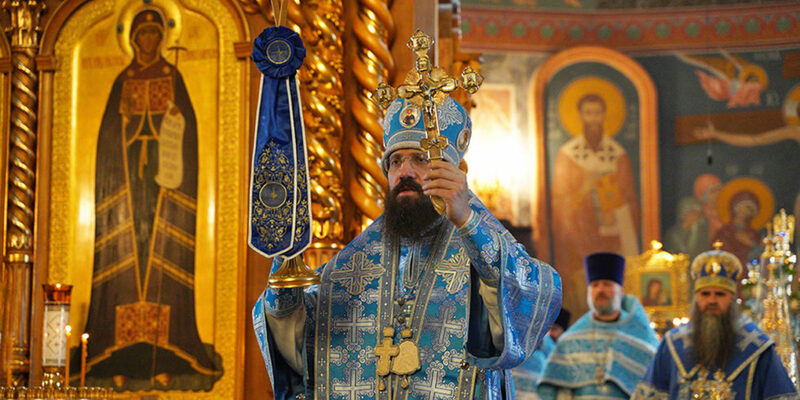 To commemorate Bishop Agafangel’s visit to Diveyevo monastery, His Grace Georgiy gifted him with a panagia depicting “Tenderness” icon of the Mother of God.